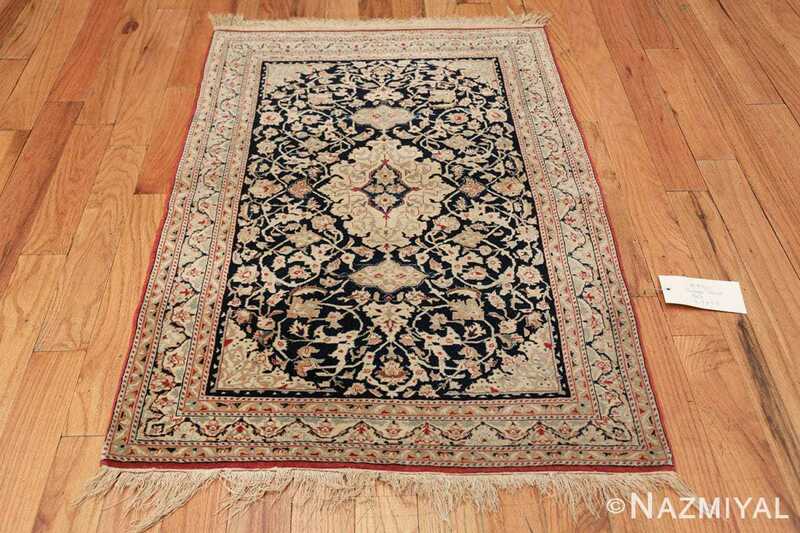 Beautiful Small Scatter Size Vintage Silk and Wool Persian Nain Rug 49616, Country of Origin / Rug Type: Vintage Persian Rug, Circa Date: Mid – 20th Century – This unique silk and wool vintage Persian Nain rug is effortlessly breathtaking. From a distance, the pastel colors pop and create a beautiful juxtaposition against the thrilling navy blue backdrop of the field. 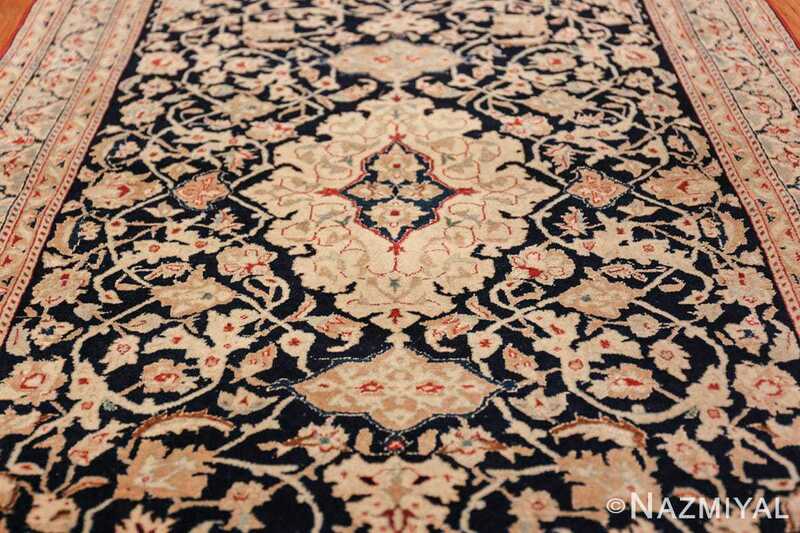 This results in creating an artistic impression that is both mesmerizing powerfully captivating. 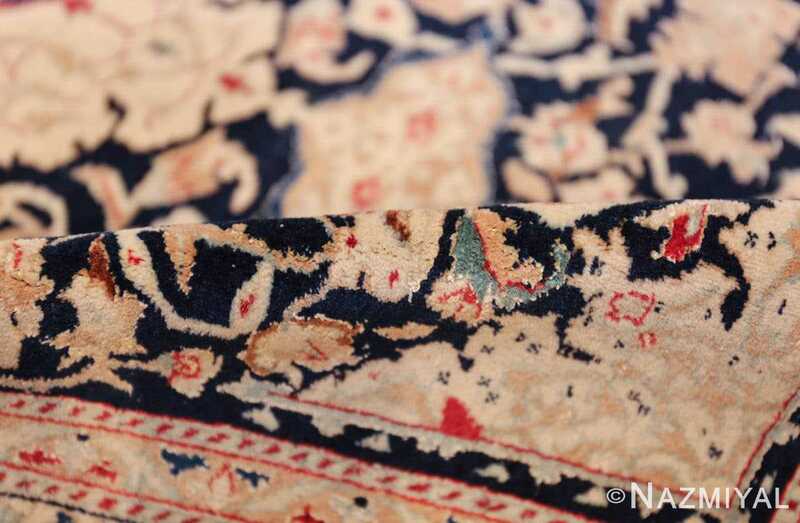 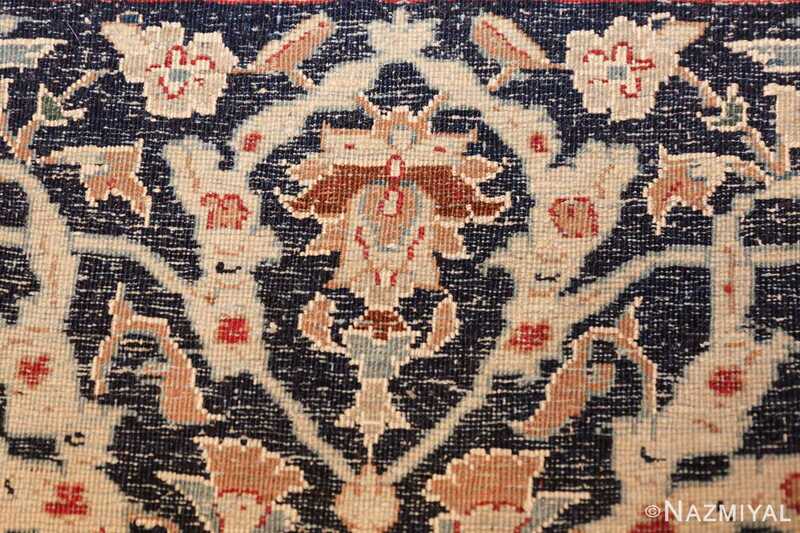 Upon closer examination, more details and colors emerge in this artistic vintage rug. 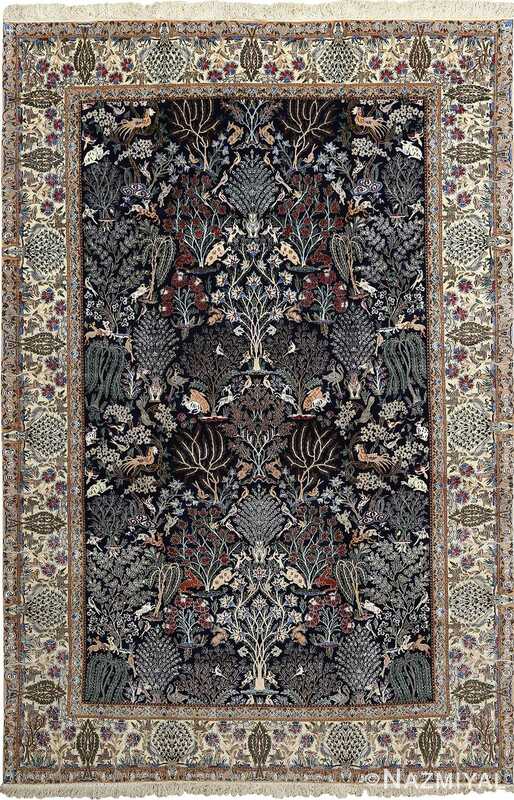 The neutral haze of the fields design becomes a complex network of intertwining embellishments and patterns in a myriad of exotic colors. 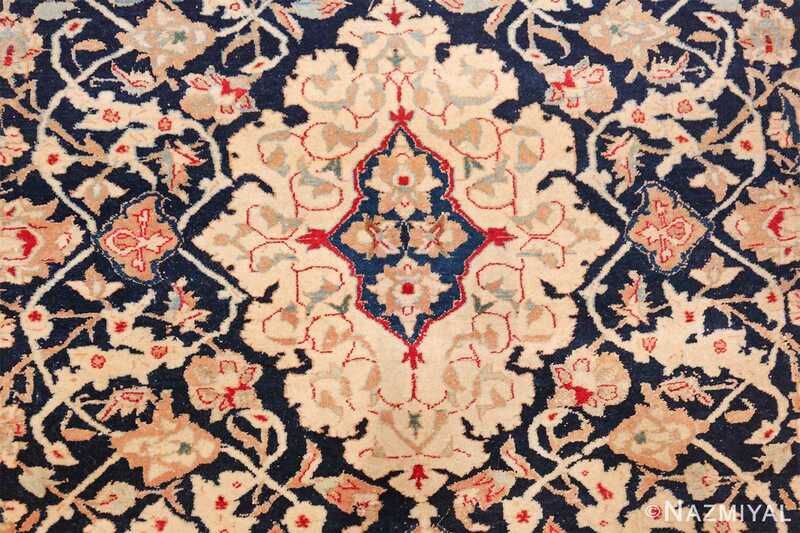 A bright red tone makes up the elegant edge border, and it is used again throughout the entire masterpiece in tiny decals to create sense of symmetry and balanced order. 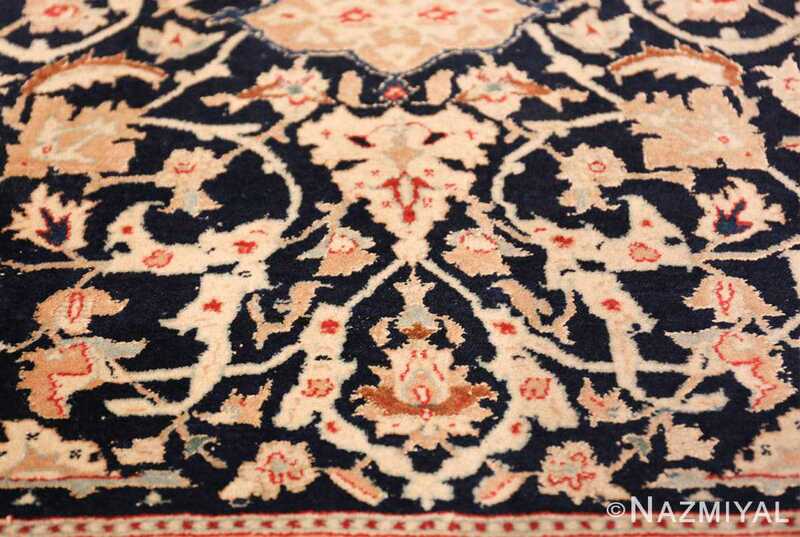 Subtle hints of grayish blue are scattered throughout the border layers and the central field in this elegant silk and wool Persian Nain rug. 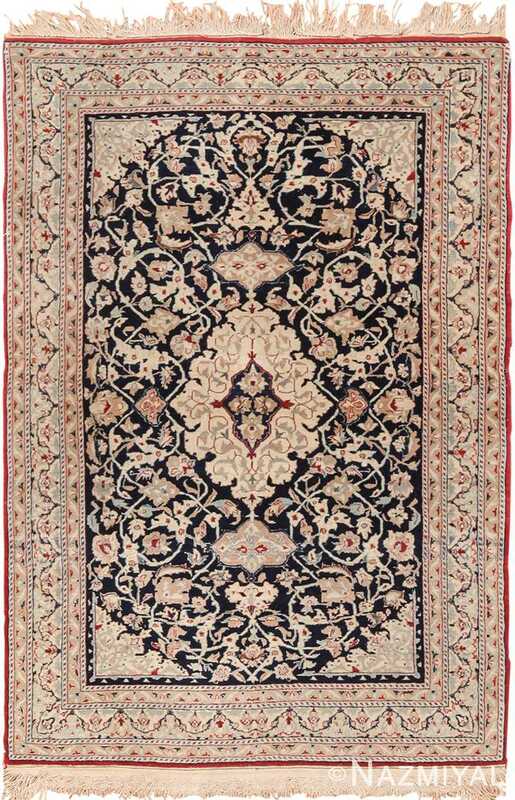 This little nuance accounts for much of the misty simplicity that characterizes the wool and silk rug. 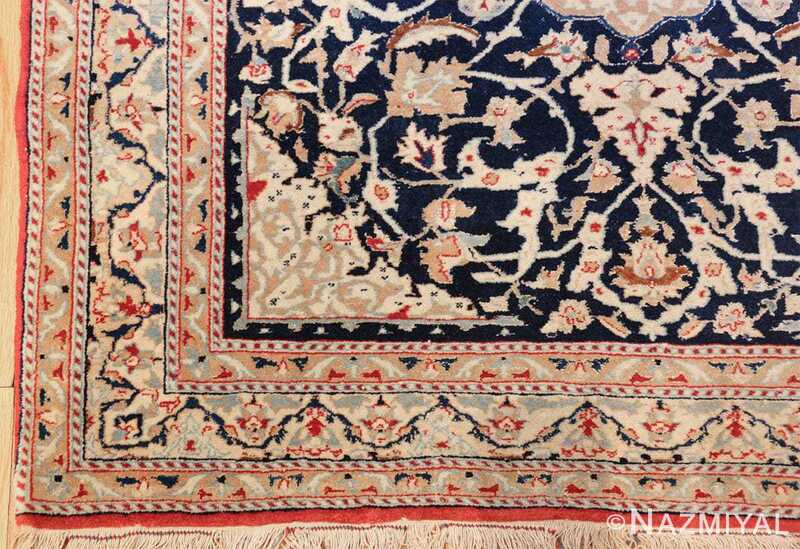 The majesty of this small scatter size rug is formed by the overall elegance of the design and the color combination in the center of this fine vintage Persian carpet. 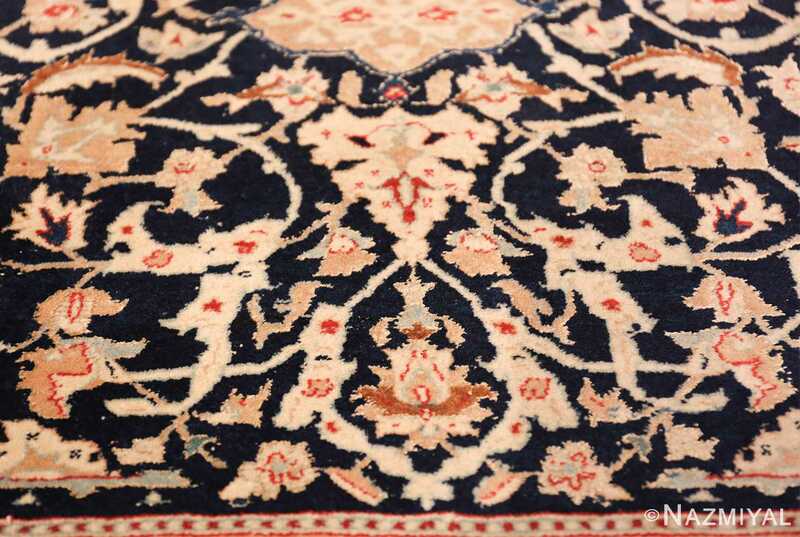 The border features a singular interconnected darker blue colored vine scroll that completely encircles this beautiful Persian rug. 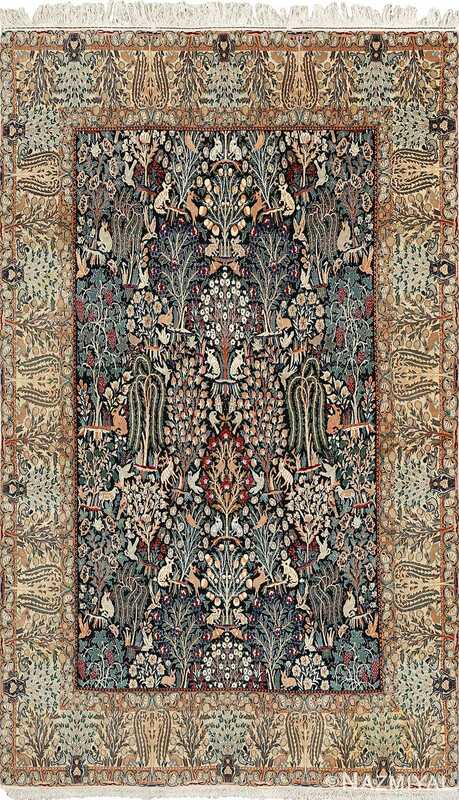 This vine scroll creates a wonderful feel of movement and an overall artistic impact that is both flamboyantly fancy and symmetrically soothing. The nucleus of this small scatter size vintage silk and wool Persian Nain rug is defined by a simple yet extremely elegant central medallion. At first, appears to be a continuation of the elements in the oval configuration, but upon closer inspection, it is unique in both structure and color. 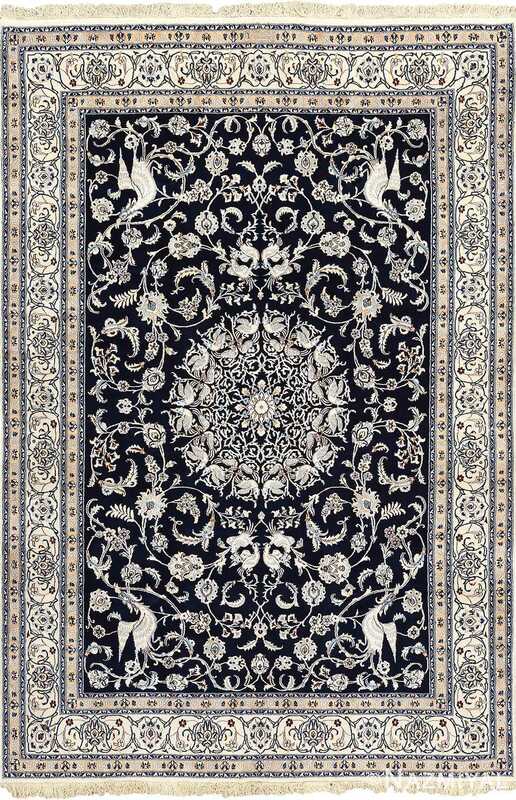 This medallion is so beautifully illustrated that gives a cloud like impression that is simply floating against the night sky. 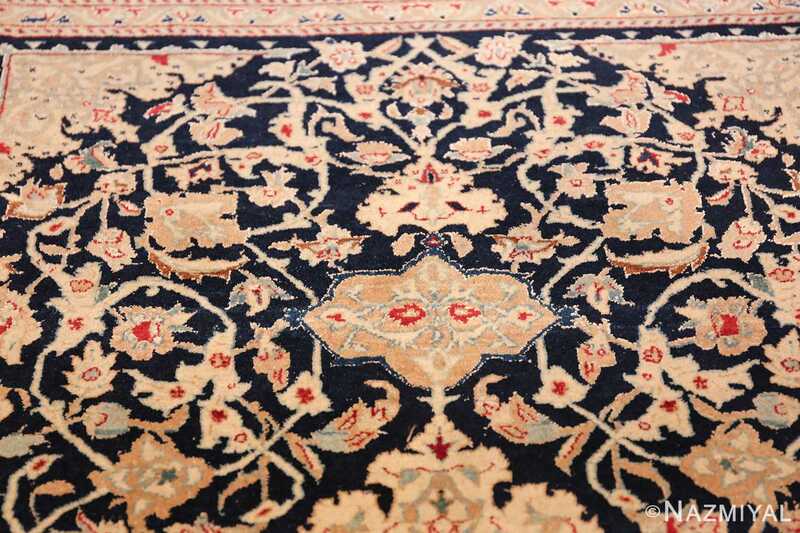 This brilliant and masterfully woven rug is an ornate example. It is small enough to be incorporated almost anywhere and is sure to be a a wonderful addition to almost any home’s interior decor.